Is God’s judgment passive or active? One of the questions that plagued me in my early Christian life was whether God’s acts of judgment were just. I was thinking particularly of Israel’s conquest of Canaan and, of course, hell. If I’m honest, I’ll admit that these still bother me, though to a different degree and in a different way. 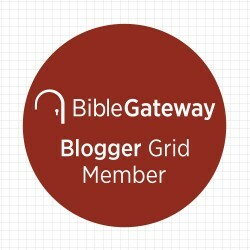 Is the passive description of God’s judgment biblical? This idea of God’s passive judgment certainly seems to get God off the hook. He doesn’t so much “send” people to hell as He lets them go there. It’s hard to find fault with such a God. The question, then, is whether this conception of his judgment is biblical. Next, we can turn to Romans. In chapter 1 Paul declares “The wrath of God is being revealed from heaven against all the godlessness and wickedness of the people, who suppress the truth by their wickedness” (1:18). But part of this wrath that is being displayed is God simply allowing sin to progress to its natural end: “Therefore, God gave them over in their sinful desires of their hearts to sexual impurity for the degrading of their bodies with one another” (1:24). And then again, “God gave them over to shameful lusts” (1:25). In other words, God’s judgment in this case is primarily seen as him allowing sin to take its natural course – rejection of God which leads to disobedience which leads to a more corrupt self, and ultimately to death. Aside from proof texts, this idea that judgment is God’s “giving over” of people to their rejection of him matches a systematic way of looking at the Bible: God is the source of life. Sin separates us from God. Therefore, sin separates us from the Source of life. The natural course of sin is death. Extrapolate that out eternally, and you have Hell: Eternal death as eternal separation from God. I think, then, that this view of God’s judgment is a helpful way of looking at the “natural” consequences of sin. Sin, by its nature, is destructive. And, for the person who holds onto it, it is eternally­ self-destructive. But, I think this view of judgment is also incomplete. God’s judgment is also described in more active terms. God is seen not only as giving people or nations over to their rebellion, but as punishing those people and nations. God judged Adam and Eve through the curse. He sent the flood. He sent plagues on Egypt. He directed Israel to take over the land of Canaan. He summoned the Babylonians and Assyrians as agents of his judgment against Israel. He is often described as a warrior, fighting against the wicked and the oppressors. These images cannot be viewed simply through the lens of “giving over.” I’m not sure fire coming down from heaven – a common description of God’s judgment (i.e., 2 Kings 1:14) is ever a “natural” result of sin. The same thing is true when it comes to the words of judgment in the New Testament. A number of Jesus’ parables end in a description of judgment. Matthew 25:28-30 is illustrative: The master replies, “take the bag of gold from him and give it to the one who has ten bags… And throw that worthless servant outside, into the darkness, where there will be weeping and gnashing of teeth.” Or Jude says, referring to God’s active judgment against Sodom and Gomorrah as an example, “They serve as an example of those who suffer the punishment of eternal fire” (Jude 7). God’s judgment as active punishment against wrongdoers also matches a systematic way of reading the Bible: God is holy and just. Our sin is an offense to his holiness and justice. God is obligated by his justice to punish wrongdoing. Extrapolate this out eternally and you have hell. So which way of looking at God’s judgment is correct? Should we view it as passive or active? Well, I don’t think the two are mutually exclusive. The Bible supports both. They are two sides to the same coin. The one shows us the self-destructive nature, the insanity, of sin. The other shows us that sin is worthy of just punishment. So, what about the justice of God’s judgment? The idea of God’s judgment as a “giving over” of humanity to its rebellion would answer my objection, but only if it were a comprehensive picture of God’s judgment. It’s not. The Christian still needs an answer for God’s active judgment. It’s hard to find fault with God’s justice in general. It’s clear that justice includes punishment for wrongdoing. But what makes God’s judgment seem unfair to so many is that it doesn’t seem to be proportional to the crime. How could anybody really deserve the sort of torments described by Jesus? I think we get hung up on this for two reasons. We downplay the holiness of God and we downplay the seriousness of sin. We forget that God is infinitely holy – so a sin against Him is of infinite offense – and we think of sin as a small matter – as a weakness or a mistake – when in reality it is a conscious rebellion against the One who gives us life and breath. I think that if I had a clearer understanding of those realities, I would be less scandalized by God’s judgment. As I wrestled with these doctrines I continued to ask God for wisdom. He led me to some of the answers above, but the intellectual answers could only get me so far. I came to a place where I could understand it, but I was yet to the place where I could accept it. For that I needed to lean on God. I came to the following conclusion: I do not understand (at a deeper level) the judgment of God. But I do understand (at the level of trust) that God is good and loving. He will not, in the end, do anything that violates perfect justice. I can trust Him that He will act justly, even if I cannot fully comprehend that justice. He is good and loving, He is patient and kind, He is gracious and merciful. I know that through the cross. And, because I can know those things through the cross, I can also trust that He will continue to act with justice, love, and mercy. This entry was posted in Christianity, Uncategorized and tagged God's judgment, Hell on April 25, 2018 by stevenkopp.